This vehicle is loaded with great features, plus it comes with the CARFAX BuyBack Guarantee. If you're in the market for an incredible SUV -- and value on-the-road comfort and manners more than ultimate off-road prowess or tow capacity -- you'll definitely want to check out this Dodge Journey GT. Added comfort with contemporary style is the leather interior to heighten the quality and craftsmanship for the Dodge Journey Look no further, you have found exactly what you've been looking for. ather - Bluetooth - Streaming AudioHighest Rated Dealer In Florida with a Five Star Google Review Rating and Voted #1 Best Place To Buy Your Next Ride Eight Years In A Row! Autoline Preowned is DRIVING HAPPINESS! When you purchase a vehicle with the CARFAX Buyback Guarantee, you're getting what you paid for. This Dodge Journey offers all the comforts of a well-optioned sedan with the utility you demand from an SUV. Marked by excellent quality and features with unmistakable refined leather interior that added value and class to the Dodge Journey Driven by many, but adored by more, the Dodge Journey GT is a perfect addition to any home. CARFAX BuyBack Guarantee is reassurance that any major issues with this vehicle will show on CARFAX report. The quintessential Chrysler -- This Chrysler 300 Limited speaks volumes about its owner, about uncompromising individuality, a passion for driving and standards far above the ordinary. The look is unmistakably Chrysler, the smooth contours and cutting-edge technology of this Chrysler 300 Limited will definitely turn heads. A truly breathtaking example of pure vehicle design achievement...this is the vehicle of your dreams! When you purchase a vehicle with the CARFAX Buyback Guarantee, you're getting what you paid for. Want more room? Want more style? This Dodge Journey is the vehicle for you. The 2018 Dodge exterior is finished in a breathtaking Pitch Black Clearcoat, while being complemented by such a gorgeous Black/Red interior. This color combination is stunning and absolutely beautiful! The look is unmistakably Dodge, the smooth contours and cutting-edge technology of this Dodge Journey GT will definitely turn heads. Drive home in your new pre-owned vehicle with the knowledge you're fully backed by the CARFAX Buyback Guarantee. This Chevrolet Tahoe offers all the comforts of a well-optioned sedan with the utility you demand from an SUV. Your buying risks are reduced thanks to a CARFAX BuyBack Guarantee. This Cadillac XTS Luxury is for the discerning driver who demands the utmost of his vehicle. 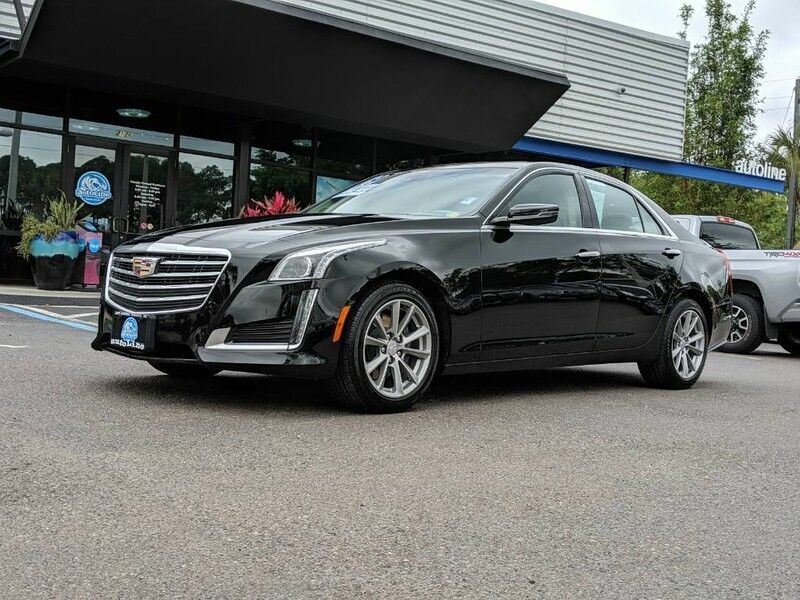 Added comfort with contemporary style is the leather interior to heighten the quality and craftsmanship for the Cadillac XTS You'll quickly realize how much you will need a navigation system once you are stopping for directions or looking up addresses on your phone instead of looking at the road. This Cadillac XTS Luxury features a navigation system that will free you of these unnecessary headaches. Your buying risks are reduced thanks to a CARFAX BuyBack Guarantee. Do so much more with one vehicle. This Dodge Journey gives you everything you need an automobile to be. Surprising quality accompanied by a high level of performance...this Granite Pearlcoat on Black/Red Dodge Journey GT could end up being the perfect match for you. Look no further, you have found exactly what you've been looking for. This vehicle is loaded with great features, plus it comes with the CARFAX BuyBack Guarantee. The Cadillac XTS Luxury's pristine good looks were combined with the Cadillac high standard of excellence in order to make this a unique find. Intricately stitched leather and ergonomic design seats are among the details in which test drivers say that Cadillac XTS is in a league of its own This Cadillac XTS offers the most up-to-date navigation system available so you'll always know the most efficient route to where you are going. This 2018 Chevrolet Silverado 1500 comes with a CARFAX Buyback Guarantee, which means you can buy with certainty. You can finally stop searching... You've found the one you've been looking for. The Chevrolet Silverado 1500 LT will provide you with everything you have always wanted in a car -- Quality, Reliability, and Character. There is no reason why you shouldn't buy this Chevrolet Silverado 1500 LT. It is incomparable for the price and quality. CARFAX BuyBack Guarantee is reassurance that any major issues with this vehicle will show on CARFAX report. The Subaru Crosstrek is the benchmark all other SUVs strive to meet. With exceptional power, towing and handling, this SUV can handle anything thrown at it. This wonderfully fuel-efficient vehicle offers a supple ride, quick acceleration and superior styling without sacrificing MPGs. Enjoy the comfort and safety of this AWD Subaru Crosstrek Limited equipped with many standard features found on other vehicles as optional equipment.